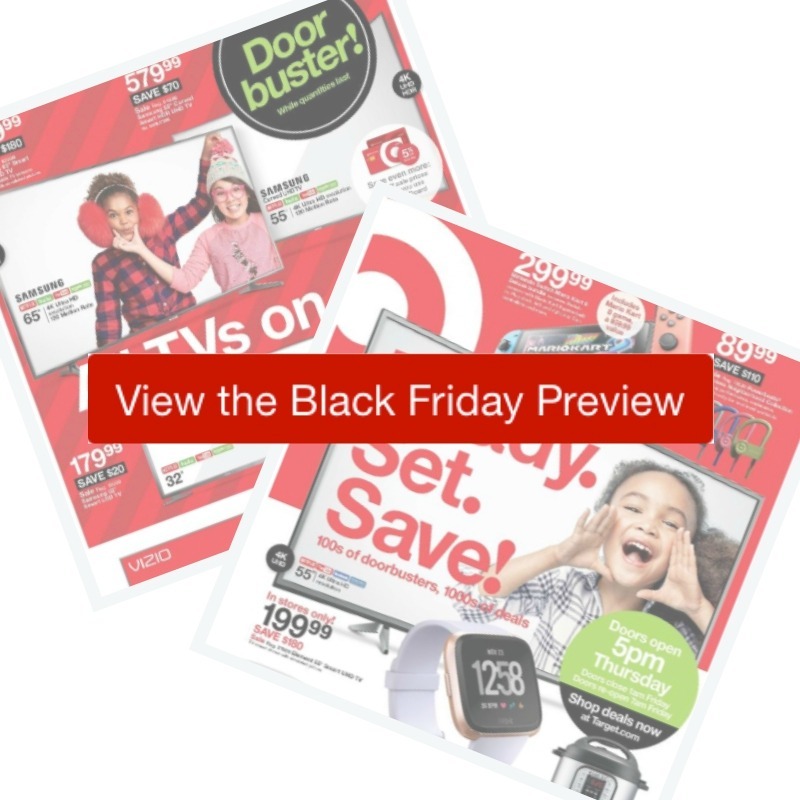 Here are all the deals in the 2018 Target Black Friday Ad! Make a shopping list, or browse through the ad scan at the bottom of the page (you can even shop directly though the scan if you want). Stores will open Thursday at 5 pm until 1 am Friday Morning. Then re-open Friday at 7 am. You can shop online for most deals and will get free shipping on any order! NBA Live 19, Lego Marvel Super Heroes, Overwatch: Origins Edition, Star Wars: Battlefront II, Skyrim, Doom, The Evil Within 2, Wolfenstein II, Lego Jurassic Worls, Farming Simulator, and Battlegrounds Video Games, $15 ea. Matching Family Pajamas , $10-$15 ea.